Situated in Halberstadt, this hotel is within 12 mi (20 km) of Glass Manufacturer Harzkristall, Klopstock Museum, and Market Square. Quedlinburg Cathedral and St Nikolai Church are also within 12 mi (20 km). Halberstadt Station is 29 minutes by foot. Situated in Halberstadt, this hotel is within 12 mi (20 km) of Glass Manufacturer Harzkristall, Klopstock Museum, and Market Square. St Nikolai Church and Quedlinburg Cathedral are also within 12 mi (20 km). Halberstadt-Spiegelsberge Station is 22 minutes by foot and Halberstadt Station is 28 minutes. 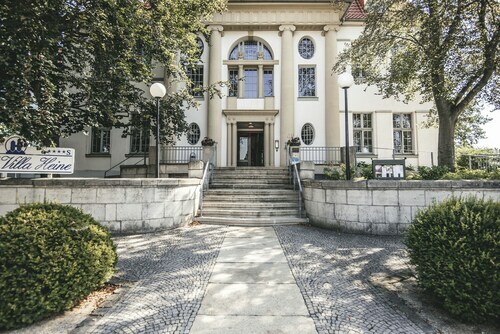 Located in the heart of Halberstadt, this hotel is within 9 mi (15 km) of Glass Manufacturer Harzkristall, Klopstock Museum, and Market Square. Quedlinburg Cathedral and St Nikolai Church are also within 9 mi (15 km). Halberstadt-Spiegelsberge Station is 11 minutes by foot and Halberstadt Oststr Station is 13 minutes. How Much is a Hotel Room in Halberstadt? Hotels in Halberstadt start at $71 per night. Prices and availability subject to change. Additional terms may apply. 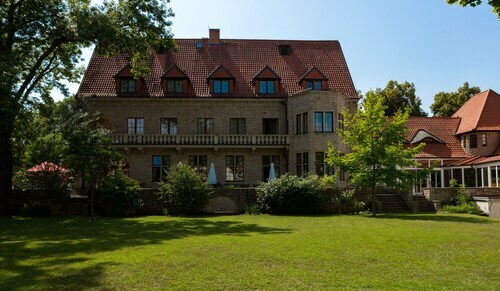 Looking for hotels in Harz, especially in the Halberstadt area? 2 hotels lie within easy driving distance. Halberstadt's city heart is close to a range of hotels like Parkhotel Unter den Linden and Hotel Villa Heine. 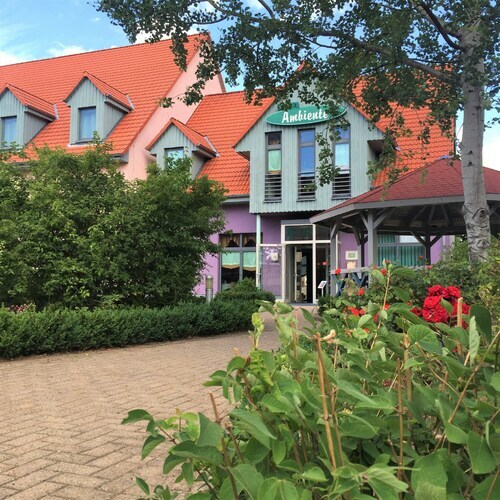 The Best Western Hotel Schlossmuehle is located 9 miles (14 kilometers) outside of the middle of Halberstadt. 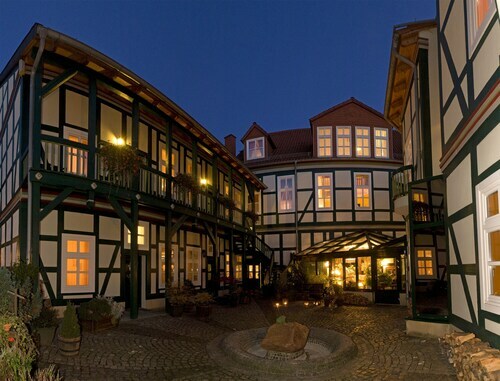 Another place to stay is the Wyndham Garden Quedlinburg Stadtschloss, which is located about 9 miles (14 kilometers) away. Some other places to stay worth looking into are the Schlosshotel Blankenburg/Harz as well as the Hotel Quedlinburger Hof. After seeing Halberstadt, you could make the trip to investigate more of the Saxony-Anhalt area. Explore Saxony-Anhalt's castles and old towns and don't forget to enjoy the region's forests. In this fascinating part of Germany visitors might also take up the chance to partake in snowboarding. Spend some time discovering Goslar Imperial Palace and Mines of Rammelsberg, which you'll find in Goslar, 25 miles (44 kilometers) to the west of Halberstadt. Some Travelocity-listed Goslar places to base yourself include the Altstadt Hotel Gosequell and RAMADA Hotel Baeren Goslar. 20 miles (35 kilometers) to the southwest of Halberstadt, you can find Sorge, which boasts the Hotel Tannenpark and Landhausferienwohnungen Am Brockenblick. The Grenzlandschaft and Museum Sorge and Ring der Erinnerung are some of the more frequented attractions to experience when in Sorge. Simply because you are visiting somewhere new, doesn't mean that you can't fuel your passion for stadium sports. Volkswagen Arena is 40 miles (61 kilometers) to the north of Halberstadt. Wise travelers who are thinking about locating a room not too far away, make a reservation in the The Ritz-Carlton, Wolfsburg or TRYP Wolfsburg Hotel. If you are planning on arriving or departing via Leipzig - Halle Airport, you may like to book accommodation at Globana Airport Hotel, or Landhotel Glesien, which are each a short taxi ride away.